M&M’s are a favourite, and the promotional Mini M&Ms Acrylic Canister will not disappoint. 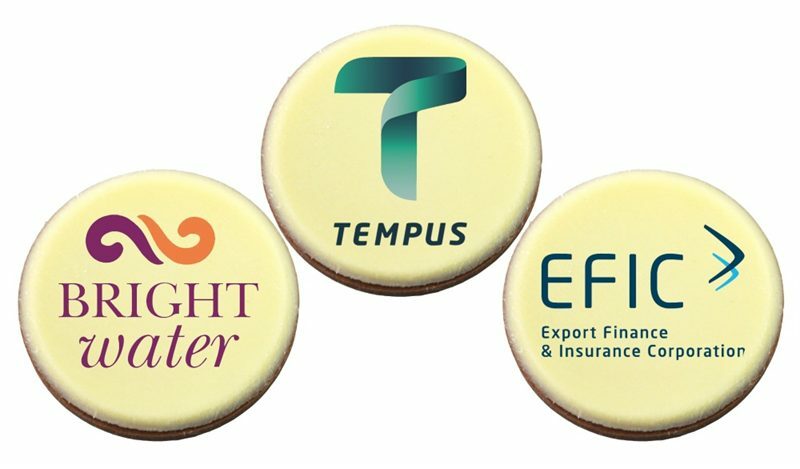 Bring this branded Mini M&Ms Acrylic Canister to the next trade show or convention you’re attending and you’ll be attracting prospective clients and partners in no time. As the container is clear, the vibrant colours of these gorgeous melt-in-your-mouth candies can easily be spotted—even from afar! Line them up in a multi-tier display rack for an even more eye-catching promotional gimmick. When marketing your brand, visibility is key. 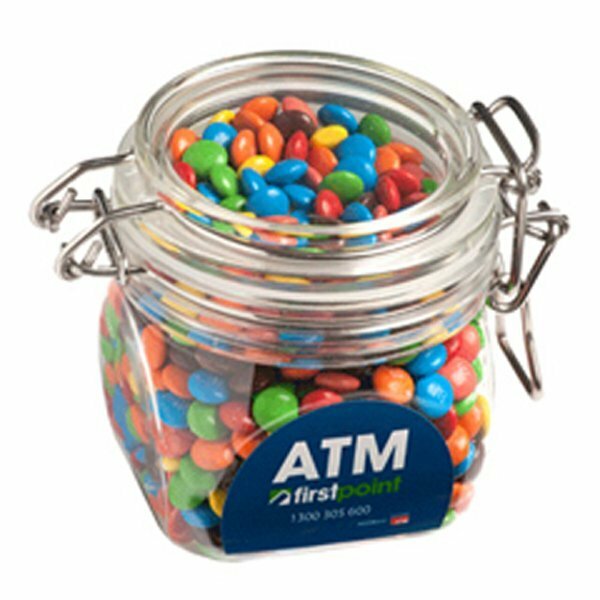 Good thing you can customize the branded Mini M&Ms Acrylic Canister by having your company name, business logo or design printed on a full-colour sticker label. You can also choose where that sticker label will go—either on the lid, which has a round print area of 45mm (diameter), or on the side, which has a print area of 48mm(w) x 37mm(h). A very colourful sugar rush awaits anyone who is lucky enough to grab a custom Mini M&Ms Acrylic Canister. Each canister can be packed with up to 200 grams of mini M&Ms! But we all know that these popular candies can be gobbled up in one sitting, so once the container is emptied, it can be used several times over. The canisters can even be recycled as office ornaments or office supply containers. And since your company name and logo are in full view, you can be assured of consistent brand visibility and exposure. Colourful candies are a really good way to attract attention. Apart from mini M&Ms, we also have products that are filled with chewy jellies, such as the branded Jelly Beans in Large Glass Jar, or the custom Jelly Beans in Large Acrylic Canister. We encourage you to check either or both options out, especially if you want to treat clients, guests, or even staff members to more diverse flavours. Catch—and keep—your clients’ attention with our promotional Mini M&Ms in Acrylic Canister. 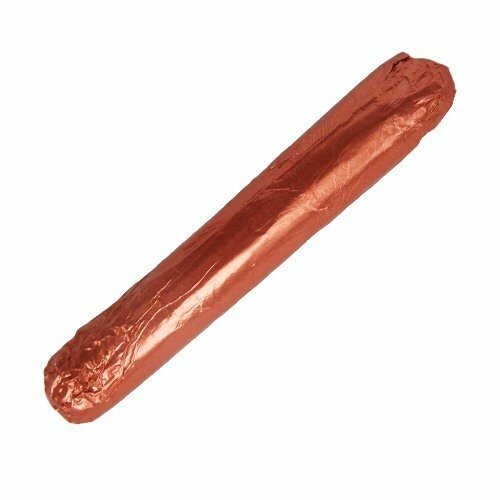 These delectable sweets are excellent gifts of appreciation! For more eye-catching presents, try our Serpent Cap and our extensive line-up of headwear! Call us at 1300 008 300 to place your orders or hear about other possible options. If you have other queries or concerns, you can also reach us via live chat application, which can be accessed through our website.